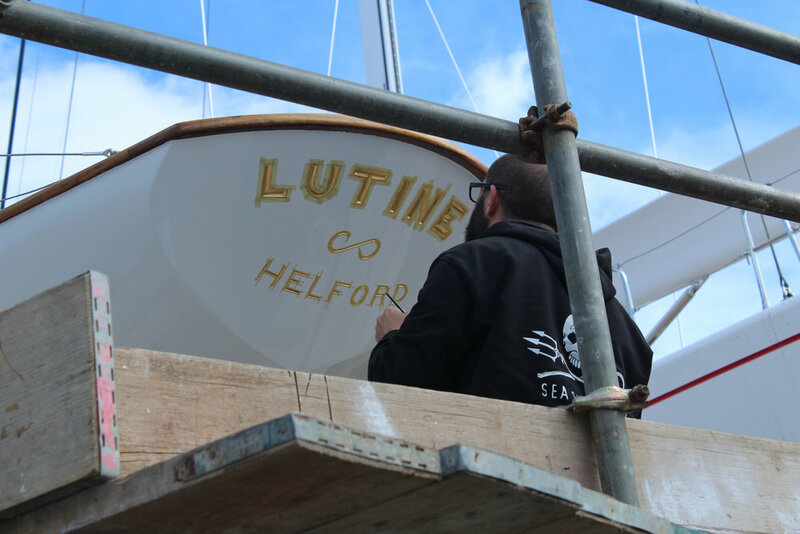 With Easter fast approaching Fairlie relaunched Lutine in time for the Owner to enjoy a four day break over the holiday. The old blue cove line and names were returned to gold leaf as the Owner had recently seen the model of the yacht in the Lloyd's building in Southampton. 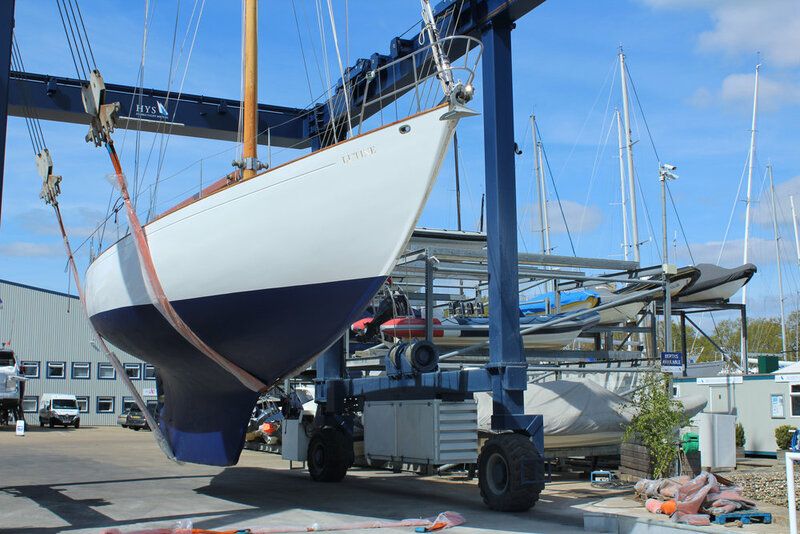 With the yacht now back on her berth in the Hamble the deck varnishing will take place in a clean environment, a very pleasant way to spend a week or so, out on the river. 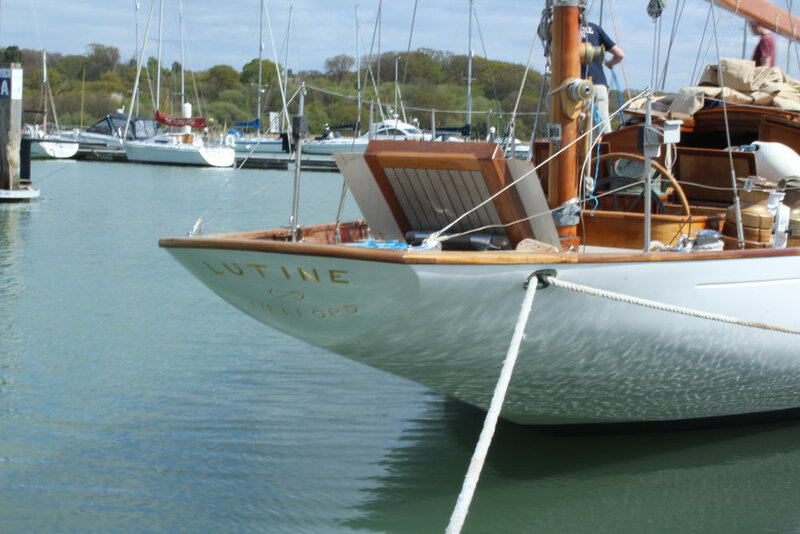 Lutine will compete in the BCYC Panerai regatta in Cowes in mid July.